My pal PJ Fusco, SEO expert and co-lover of all things geeky, gave me the best birthday present ever. 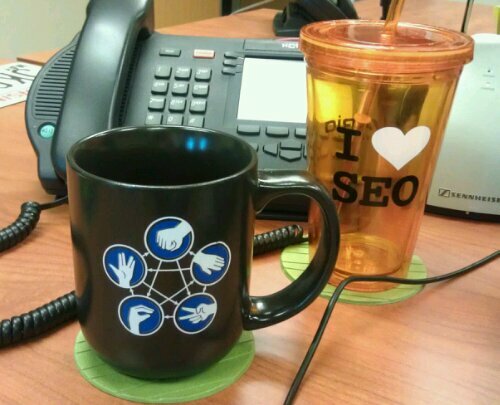 A coffee mug for my office freaturing the intricate diagram of the game Rock, Paper, Scissors, Lizard, Spock. The game was originally invented in the early part of the century by Sam Kass and Karen Bryla, but you probably know it now from its cameos on CBS’s “The Big Bang Theory.” God, I love that show. Here’s the classic clip of Sheldon explaining the game’s rules at lightning speed. One day I aspire to be able to do the same.